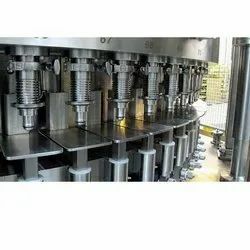 Offering you a complete choice of products which include paste filling machine, pesticide filling machine, 90 bpm bottling machine, soft drink filling machine, water bottle filling machine and corrosive liquid filling machine. We are manufacturing Semi Automatic Paste Filling Machine to Fill Paste to fill highly viscous products like paste, tube etc. this machine is having the output speed of approximately 25 Tubes Per Minutes with the help of Metal to Metal SS316L syringe. Please do contact us for further information. We are manufacturing a wide range of packaging machines, automatic/semi-automatic forming, filling, sealing and capping machines. Manufactured using high-grade raw materials and utilizing innovative production techniques, our vast range of machines is as listed below. 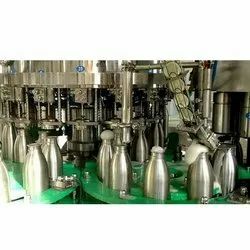 We are manufacturing a wide range of Soft Drink Filling Machine, packaging machines, automatic/semi-automatic forming, filling, sealing and capping machines. Manufactured using high-grade raw materials and utilizing innovative production techniques. We are the leading manufacturer and supplier of an optimum quality range of Water Bottle Filling Machine. Our provided machine is widely used for washing, filling and capping of non-aerated drink such as mineral water, pure water, non-gas drink, synthetic flavored juice etc. This machine is exclusively manufactured by our highly experienced professionals using the finest grade components and latest technology. The offered machine is widely acknowledged by our precious clients owing to its long service life and fewer maintenance features. We are the manufacturer of Corrosive Liquid Filling Machine Plugging and Capping Machine for a container like Harpic Bottles, Toiler Cleaner etc. 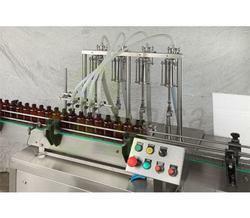 Under the able supervision of trained professionals, we offer an ample range of 60 BPM Bottle Filling Machine. Inattention to sustain the quality of the products, we have installed high- tech machinery and equipment for the process of manufacturing this Machine. Main motor, air conveyor motor, washing motor, and outfeed conveyor motor produces efficient and prolonged operation. The filling range is about 500 ml to 2 liters which provides fine rinsing. 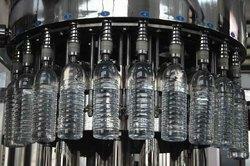 We are engaged in manufacturing and supplying a wide range of Carbonation and Bottle Filling Machines. In adherence to the set industry standards, our provided machine is precisely manufactured using high-grade components and latest technology. Owing to its long functional life and easy maintenance features, this machine is widely appreciated by our precious clients. Moreover, to ensure the hassle-free operations, the offered machine is stringently tested by our experienced quality experts against several quality parameters. 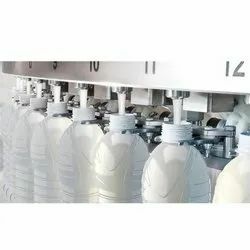 Being one of the preferred choices of our customers, we are proudly involved in offering Mineral Full-Automatic Mineral Water Bottling Filling Machine along with packaging machines, automatic/semi-automatic forming, filling, sealing and capping machines under our Bottle Filling Machines product gamut. Water Filling 3-Block Machine automatically performs the complete process from blowing. Washing, filling and sealing. It saves money, time and man force. The filling range is adjustable and all parts in contact with the materials are made of stainless steel. 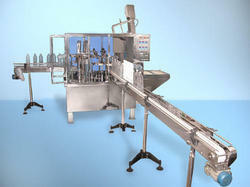 This machinery is used in industries like medicine and food. Several quality checks and high-quality raw materials are involved in the production of these machines. They are highly safe, reliable and easy to use. 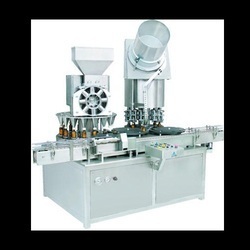 We are manufacturing Automatic Dozing Cup Placement Machine having an output speed of up to 120 Bottles Per Minute. We have supplied this machine to Turkey, Ghana, Afghanistan, Myanmar, Algeria and South Africa. 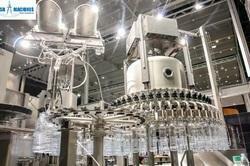 We are the manufacturer of advanced filling and packaging machinery for beverages industry. 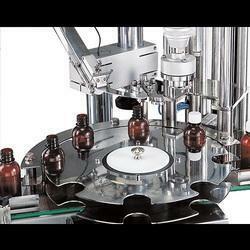 We are manufacturing Semi - Automatic Inspection Machine for Vials and Bottles with Black and White Board and Magnifying Glass. Please do contact us for further Technical Specification. We are the manufacturer of the Conveyor Water Bottle Filling Machine as per the requirement of the customer. 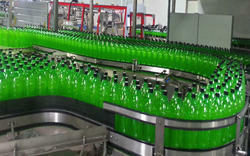 We are manufacturing Carbonated Beverages Glass as well as pet bottle Filling Machine with PLC AUTOMATION. We have supplied this machine to Europe, Germany, Turkey, Jordan, Egypt, South East Asian Countries, Middle East Countries and other African countries. Please do contact us for further information about products. We are manufacturing Automatic Servo Based Augur Syrup Powder Filling Machine with Camera Inspection and Rejection Technology. We can fill Syrup Powder from 5gram to 100 Gram with the help of Change Parts Augur and Funnel. We have exported this machine to Middle East Countries, African, South Africa countries. Please contact us for further Technical Description and Features. We are the manufacturer of Water Bottle Filling Machine Machine with an output speed of 28 Bottles Per Minute. 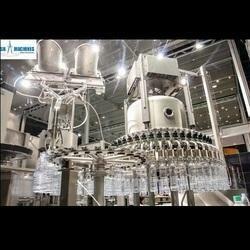 We are a manufacturer of Bottling Machinery for Beverages Industry. We are manufacturing Edible Oil Filling Machine to fill Oil with Advance PLC Automation please do contact us for further information. 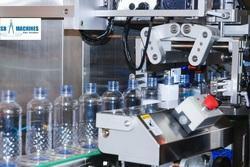 We are manufacturing fully automatic PLC Based Bottle Filling machine with hi-tech technology and advanced features. We have exported this machine to Spain, France, Germany, Central America, Latin America and South Korea. Please do contact us for further information. 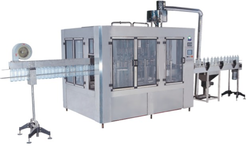 We are the manufacturer of Automatic Bottle Liquid Filling Machine with Robust Quality and Advanced Features. Please do contact us for further information about our products. 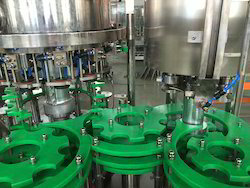 We are manufacturing Volumetric Bottle Liquid Filling Machine for filling nonviscous product from 50ml to 2000ml with the accuracy of 1 Percent.Please do contact us for further Techo Commercial Discussion. 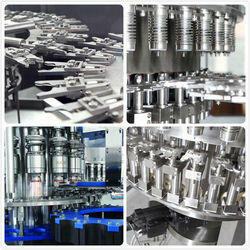 Manufacturing a wide range of packaging machines, automatic/semi-automatic forming, filling, sealing and capping machines. Manufactured using high-grade raw materials and utilizing innovative production techniques, our vast range of machines is as listed below. 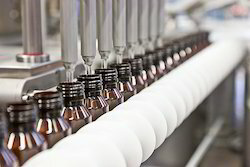 We are manufacturing Automatic Single Head Liquid Filling - Rubber Stoppering and Sealing Machinery for Vials. This machine is specially designed for Research and Development Department. Please do contact us for further information. 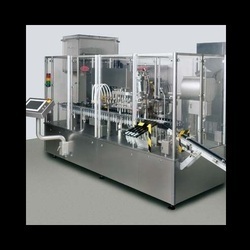 Viscobloc is a Fully Automatic Rotary Bottle Filling and Capping machine which is used for the filling and capping of the bottles at the same Monobloc frame base. 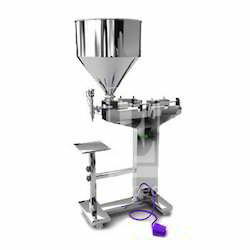 This machine runs on the Volumetric principle of filling by piston movement through the cam. 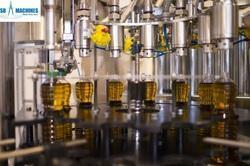 The machine is developed for the bottling of viscous liquids such as oils, shampoo, liquid, soaps, ketchup etc. 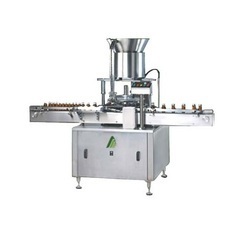 in either pet or glass containers of different shapes and sizes for different volumes.The standard machine is provided with standard nozzles. 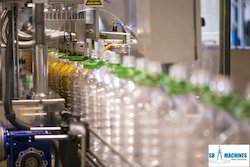 The concept of VISCOBLOC also meets ‘CMP’ standards, as the bottle are sealed immediately after filling. The rotary sealing module is synchronized with filling and gives accurate sealing with minimum/nil rejections.This machining center in Cosmetics/Food Industries. 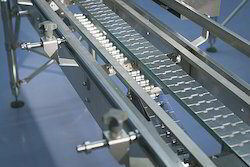 We are the manufacturer of Conveyor For Bottle Filling Machine with very good quality. 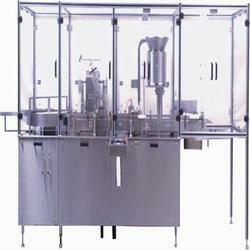 Automatic Servo Based Eight Head Piston Based Viscous Product Filling Machine. Looking for Bottle Filling Machine ?